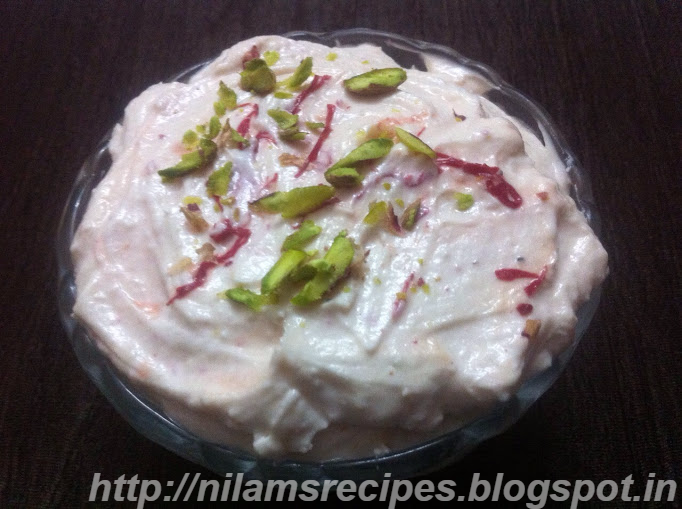 The best recipe for Home-Made Kesar Pista Shrikhand from fresh Yogurt. 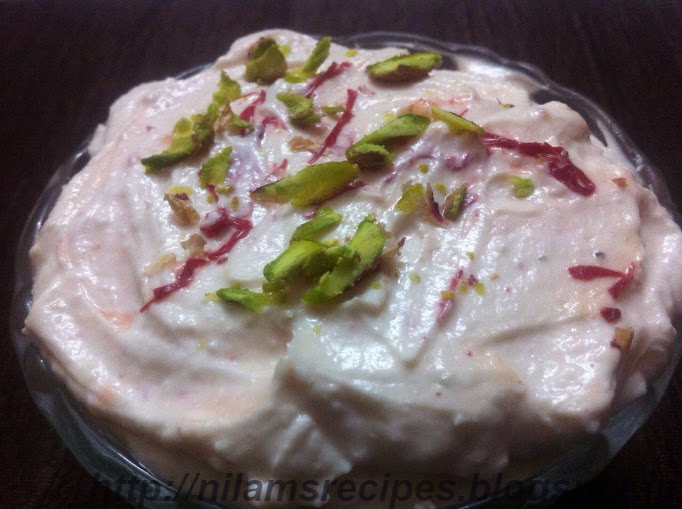 This dessert enjoyed on festive day,all over India,with hot puries. 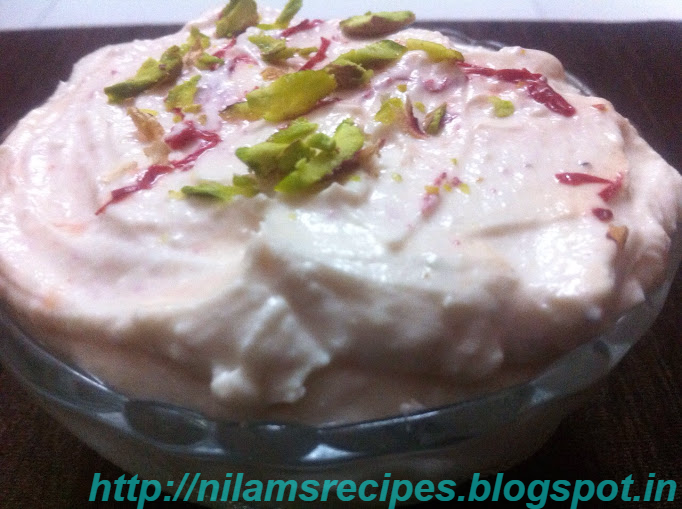 How to made chakka from yogurt for Home-Made Kesar Pista Shrikhand . 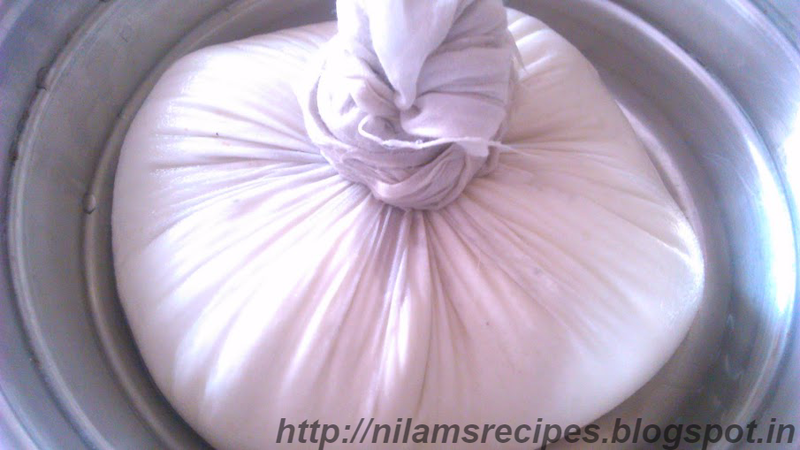 Tie the yogurt in a muslin cloth or cotton cloth in a cool place for at least 3 hours until all the liquid has drained off. 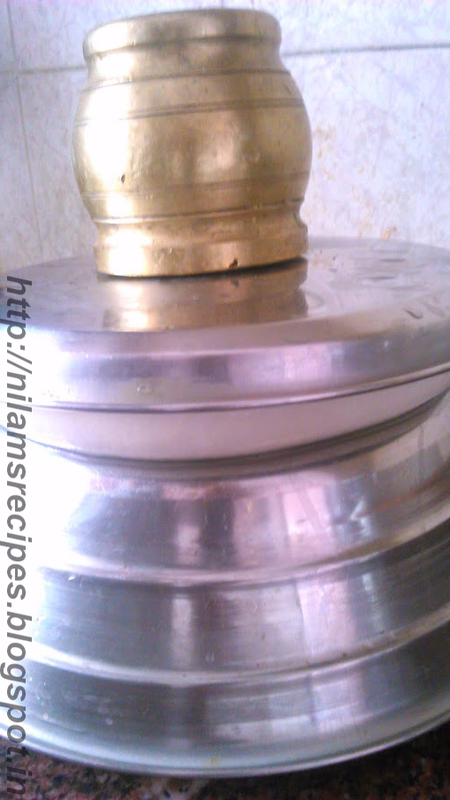 Or you can place a heavy weight on the tied yogurt to help drain the water. 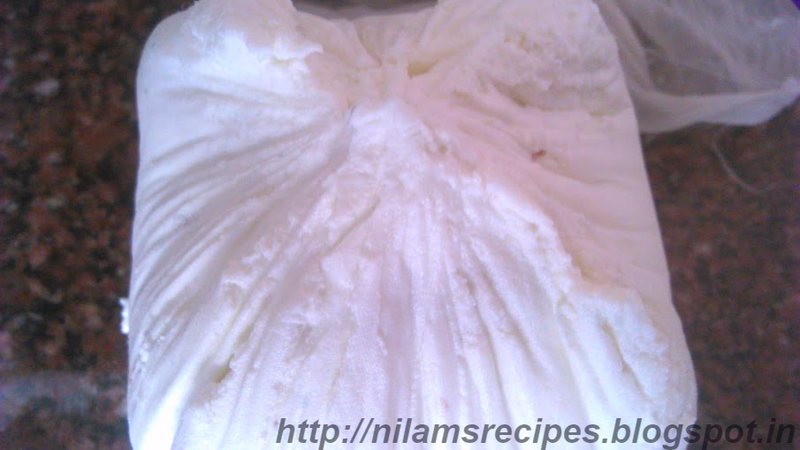 If you do not have ready made powdered sugar you can powder normal sugar in a mixer and use that. Crush the cardamom to make a powder. Soak the saffron strands in warm water for 20 minutes. 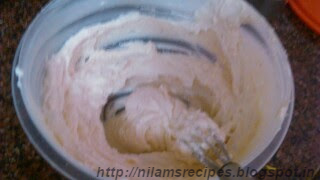 Using a hand blender blend the chakka into a smooth paste. Add the powdered sugar, cardamom powder. Mix well. Finally add water of saffron. Mix well with spoon. Slice the pistas. 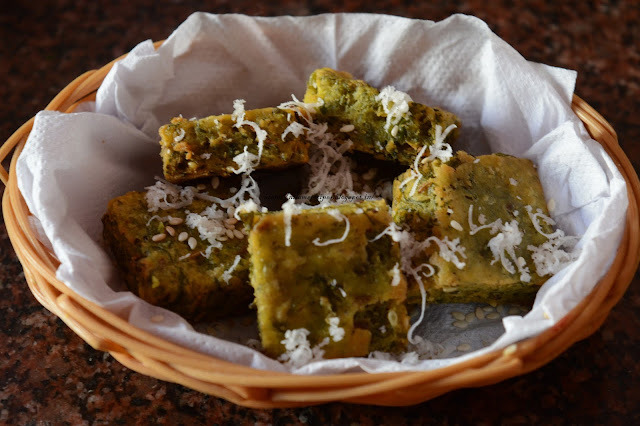 Garnish with slice pistas keep into fridge for at least 1 hour. 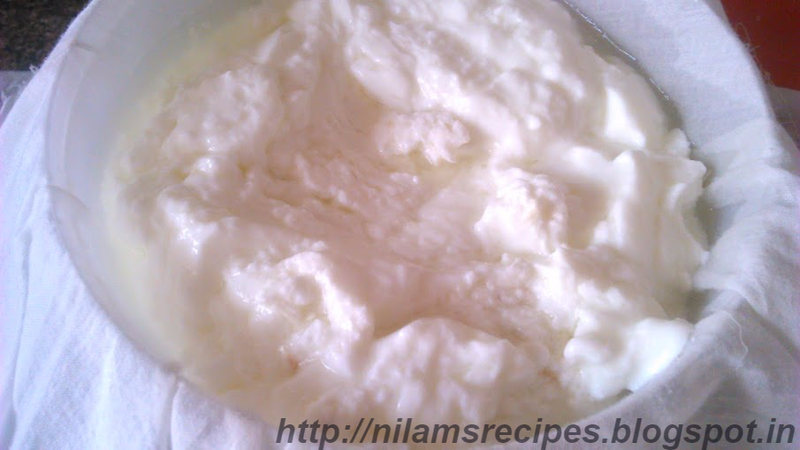 Your Yoghurt should be fresh and not sour. 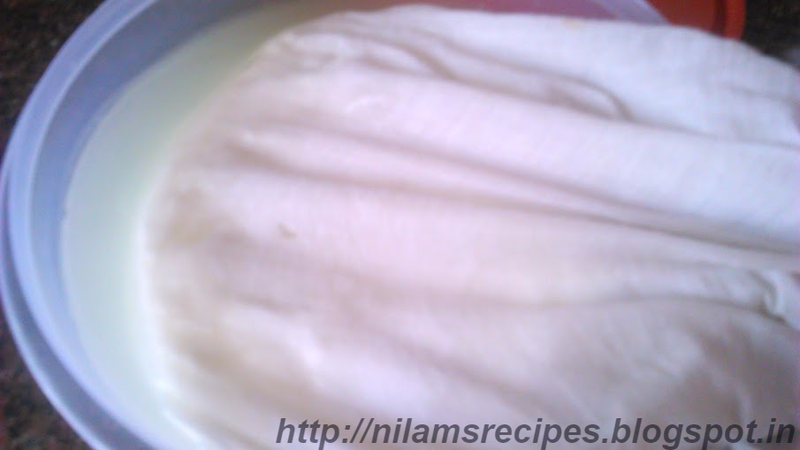 Soak the saffron strands in warm water instead of milk as you will get natural colour of saffron in water.